April Events And Ideas That Will Change Aries Life!  The month is going to be rather ambiguous for Aries people. In the first half of it, you’ll have to face many stressful situations that will eventually lead to frustration and disappointment. This will be especially true in the areas that concern the social sphere of your life including professional communication. Luckily for you, after April 15 the situation will change completely. On this day, a New Moon will enter your sign urging you to do something that will change your life, no matter how much it will cost to you. April 26 will become another powerful day when your planetary ruler Mars meets Pluto in your job sector clearing all possible obstacles in this area.